Here’s a subtle take on Calvin Begay’s contemporary styling. Soft greenish cultured opal links in sterling silver will complement many of your Native and non-Native jewelry pieces! Bracelet is 7″ long. The links are 1/2″ high and 1/2″ wide. 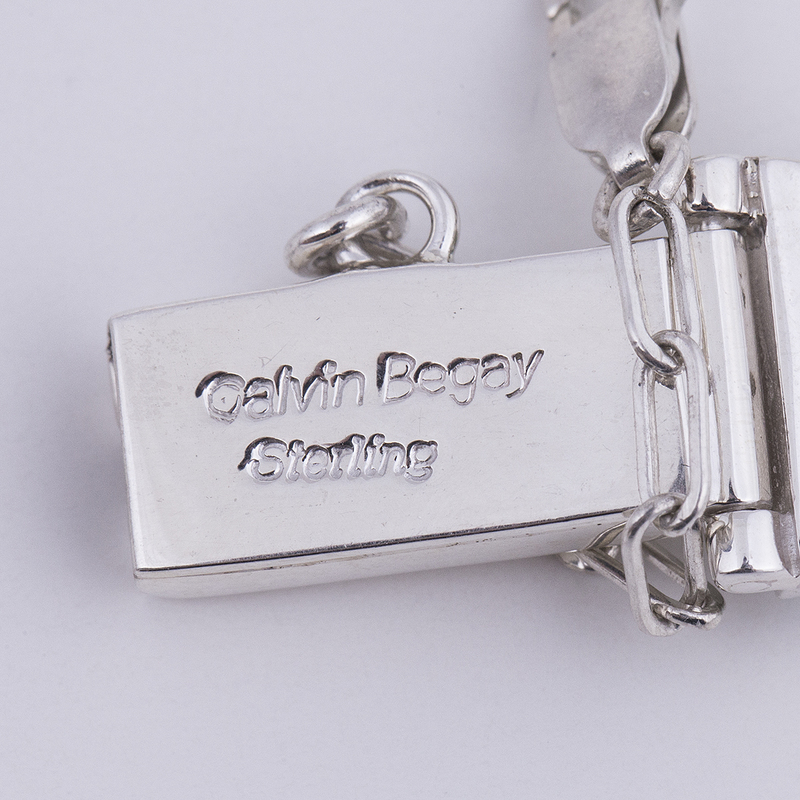 Hallmarked “Calvin Begay” and “sterling”. Weighs 36.3 grams. 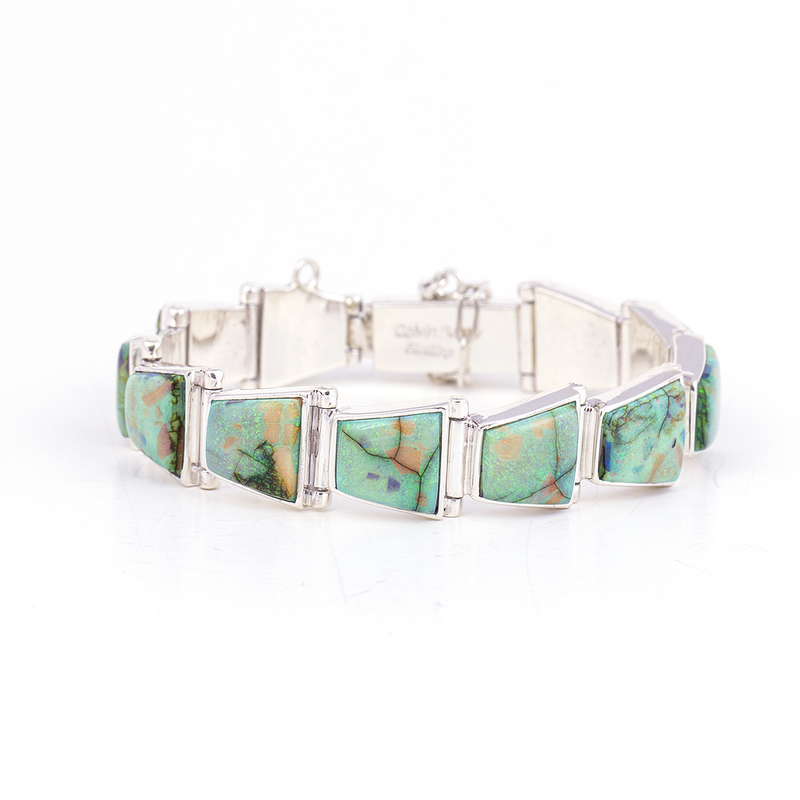 Calvin Begay Unique Link Opal Bracelet shows soft arrow-shaped links with pale greenish cultured opal. This Navajo designer’s work is flawless in sterling!